He is involved in the search for new and improvement of existing cancer treatment methods, including molecular mechanisms of photodynamic therapy of tumors, as well as therapy with proteasome and statin inhibitors. 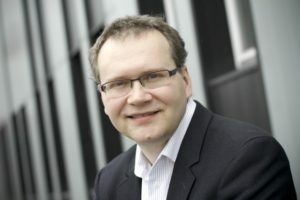 He is the coordinator of the multidisciplinary BASTION project (From Basic to Translational Research in Oncology) implemented by ten research groups of the Medical University of Warsaw. The aim of the project is to “increase the research potential of the Medical University of Warsaw in the field of experimental oncology” and “shorten the path between scientific discovery and its use in clinical practice”.